Today a few members completed the move of the Green Bay Mike & Key Club's D-Star repeater. 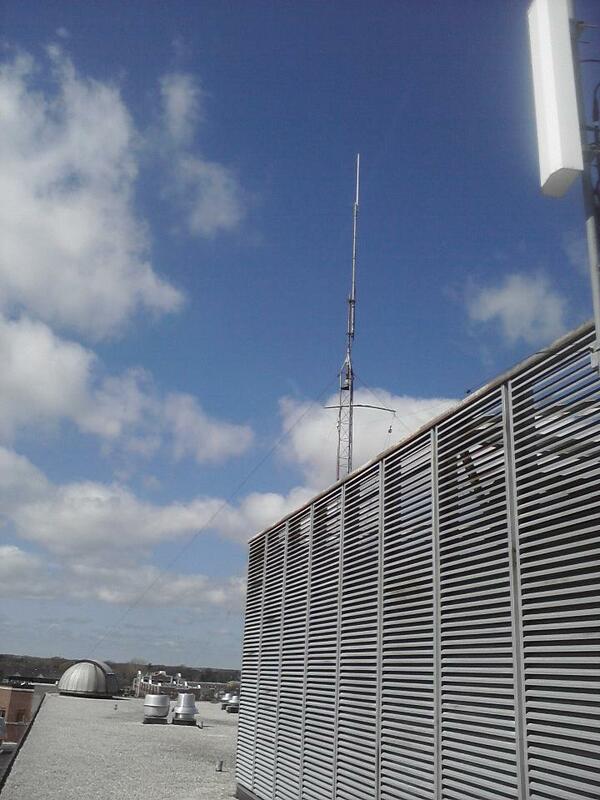 (444.20625 MHz) It is now located in De Pere, WI atop St. Norbert's college. The new antenna is a Dual band Diamond X-50, which replaces the VHF 4 bay that had a failing (from age) phasing harness. 1/2" Hardline was installed along with a Polyphaser lightening arrester to feed the antenna. Coverage seems improved, although testing has been limited. 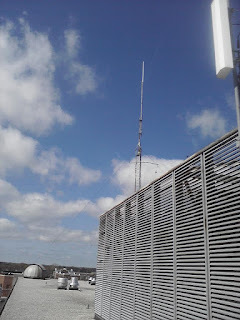 In the coming weeks/month an 802.11 link will be installed to re-establish an internet feed for the 444.775 MHz IRLP repeater on Scray's hill from the college. Thanks to St. Norbert College for making this possible.